Some I only read only once, others I read again (and again and again.) What makes me re-read? 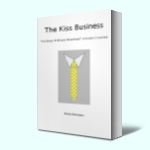 To answer that I will give you my personal definition of a good Business Advice Book. A book that you constantly have to put down, one that constantly makes you stop reading, because you just have to jot down 'sudden' ideas for your business triggered by what you are reading. Those are also the books I like to re-read sometimes, because they keep on giving you new ideas (or additions to other 'sudden' ideas you've found reading other books): those books keep Advising you. At the moment I'm reading The Jelly Effect - How to make your Communication Stick - by Andy Bounds and boy, I can't seem to read two pages after each other without having to put it down! Stay tuned, book-review will follow soon (and a page with all the books I read that pass my definition of a proper Business Advice Book). Of course we made mistakes in our first ever Introduction to Blogging workshop yesterday, that's why we had called it our trial one. But the overall feeling we had yesterday evening was of success and pride. 6 Students (representing 5 companies) turned up very eagerly at ACT's Barn (where Lesley had just launched her own blog with the tremendous name: The 'IT' Girl). We started with Kent's presentation - thanks again friend - explored various blogs, how to search for blogs. Then we turned our attention to commenting on a blog (one of the mistakes I made during my dream-project and from which I learned, hence this approach). Every 'student' had received a homework assignment for the next part of the workshop: write in about 500 words what you think blogging can mean for you - your business, organisation, family etc. After lunch the afternoon was mostly spend on creating new accounts for all of them (talk about a big result! ), hands-on help with configuring the account, configuring the blog and of course with the design. Some of the new blogs only have a test post, others already an 'about-page' and/or a real post. We will keep an eye on all of them of course, that's what you do with 'babies' ;-) and we hope to see most of our eager beaver first students back for our Advanced Blogging workshop later next month. Word has spread around, we are now able to fill up 3 other Introduction to Blogging workshops and our first Advanced blogging workshop is starting to get in high demand too. Think we found ourselves a niche-market. Or put differently: managed to turn another hobby into a profitable venture - for the moment I'm just after some extra pocket-money. Couldn't do this without the expertise of "The 'IT' Girl" of course. If you are a web-publisher/blogger like me you follow various other blogs and consequently leave comments here and there and everywhere. checking if other comments are added. I think most of us are very bizy business persons and have to spend our time practical, effective and efficient (otherwise our partners/accountant will start to grumble). But conversational bloggers also want to keep up with/track the ongoing conversation. Until recently I used co.comment to help me with this. Creating an account with co.comment and downloading the widget in your browser menu bar means that every comment box you enter your comment in has an embedded link to your account. Publish a comment and your co.comment page fills up, plus it tracks comments by others on that same post. Only thing you have to do is visit your conversations page (when you have/make time for it). Quite handy for a while, but then the embedded co.comment tracker started to interfere frequently with publishing my comments, plus the changed lay-out (newer versions not always work out better than the 'old' version) of the "My conversations" page on my account made it not so handy any more. Dawud Miracle had suggested another widget: co.mments. After the umpteenth time co.comment (don't get confused now) froze the whole screen again I had enough and switched to co.mments. And found it contained many more handy features! if you have feedburner you can add a little widget per blogpost for others to automagically follow any comments on your post - see below. you can add any conversation on any blogpost to co.mments through a little bookmark widget on your browser menu bar without it interfering with your screen or pc. plus (and this is a great one IMHO) you can set up your account in such a way that you'll get email notifications when another comment is published on a post you're tracking. Why is this a great feature - benefit? I'm sure you have noticed that the 'busiest' conversations take place on those blogs where you can subscribe to email-notifications to be 'notified' when additions to the conversation are made. Both Liz and Dawud's blog come to mind. Since I still haven't found a way to create a feature like that for my typepad blogs, the co.mment email option is the best alternative for the moment. The emails aren't send the minute another comment is published, but like I said, still a proper alternative. So, staying 'tuned' in on the many conversations you're following - perhaps even on this blog - is made a little bit simpler again. ...(plus the project has taken a turn a very unexpected way: it will be used for our trial blog-workshop next month, we might create a whole crèche or kindergarten of blogs - our, that is together with friend Lesley from ACT - and having notes on how to start will be very handy). Yesterday Lesley and I worked a whole day preparing for the first blog-workshop: Lesley - the PowerPoint Wizard - editing the presentation Kent Blumberg so very kindly had send over to us; me designing the typepad blog our new 'adventure' will use as a platform and link-love place for all of our "students". And with regards to the W-list the 'students' joining us in the first workshop Introduction to Blogging will almost certainly add to the list: we have 4 women on board (of a total of 6 students). Our next workshop is already filling up nicely too, 2/2 women/men - that's the way forward! Yesterday, when I was 'hiding-out' at my friend Lesley's place - EDF our electricity supplier had decided it was time to cut all power in a large part of our village for maintenance a whole day long, great! What's a business supposed to do then? - I found my own Kiss2 blog on the W-list: Gathering a list of Outstanding Women Bloggers. May many more follow into the wonderful world of blogging, web-publishing and add to the unique conversations all over the world! but our progress was hindered due to the above. On the 24th of May I told my friend Stuart I'd set myself a dead-line for having everything for this project in place: end of June would see the opening of our on-line shop. It wasn't to be. Not that I was procrastinating or had too much other items on my to-do-list. No, I planned to do everything properly, including a simple but secure on-line payment system. Paypal is simple - well rather simple - and mostly secure, but we felt that is wasn't really suitable for a business like us. So we opted for the E-PDQ system (Barclays Business) mainly because we already have a (hard-ware) PDQ-system in our showroom. Beginning June we requested a quote and everything seemed to go smoothly. Amongst other items I had to report what kind of software we are using for the online-shop: Actinic (another simple and effective to use IT-tool). No problem, E-PDQ could be integrated very simply with Actinic. We accepted the quote.... and the waiting begun. I used that time to have Actinic up to date with all the products we wanted to make available to buy on-line. After two weeks of silence I made 1 phone call to Barclays Business Card Ecommerce support. Half an hour later various emails landed in my inbox, with all the details I needed to get going, to get the on-line shop live. Hooray! Confused? I was, until it was properly explained to me, weeks too late. But still, why ask for the name and type of the software package when the quote was put together and then setting-up the 'wrong' system for us? I discovered this 'mix-up' (error?) when the first green light came from the Ecommerce Support team. I thought (I know, thought too simple of course) the only thing still to do was adjusting the Actinic software 'payment-tab' with the E-PDQ details. But no, it wasn't to be. Actinic comes with a E-PDQ setting, but that brings you to Secure Hosting - PARTNERS WITH BARCLAY'S BUSINESS CARD FOR E-PDQ SYSTEMS - and partners with Actinic. Great I thought, that's even better. Secure Hosting account opened and following the simple instructions on their site how to integrate it into Actinic. Done in 5 minutes. The last instruction was also simple. Tell Barclay's you'll be using Secure Hosting for MPI. And that's were the fun started. To make a long story short. After various phone-calls, emails (containing again info and instructions on the CPI set-up, not the MPI set-up), other phone-calls and new emails (with yet another incomprehensible form - which in the end was filled in over the phone with help from the Ecommerce Support), two days of silence, new emails informing me the form was filled in incorrectly (%^&$&£^£%!! ), the form filled in again etc etc I finally received the second green light. Hooray! But it wasn't to be. Actinic was working fine with Secure Hosting, Secure Hosting couldn't get through to the E-PDQ. Secure Hosting suspected that the Ecommerce Support hadn't switched my 'store' from test to live. Emails again. On their (E-PDQ) end is was all fine, they said. No, it wasn't Secure Hosting said. Another phone-call then. Your 'store ID' has been closed (i.e. deleted from our system) because of the (1st) form info. (Poor lady on the other end of that phone-call - I lost it big time then). All's well that ends well. The kind lady had everything correctly set-up again for me and my little on-line shop within 30 minutes. Hooray! Everything is working fine now, Actinic with Secure Hosting with E-PDQ, like clock-work. But it has left me utterly confused and frustrated why some partners within a partnership have so much trouble informing their clients of that partnership. Software package: Actinic (we will 'sign' you up with our partners at Secure Hosting).